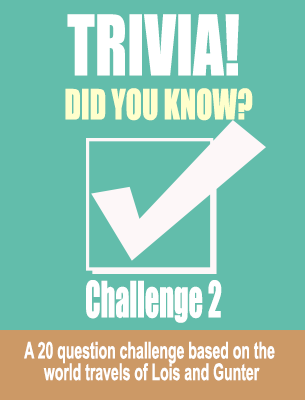 Welcome to Fun and Games, Author Lois Joy Hofmann’s trivia challenge! 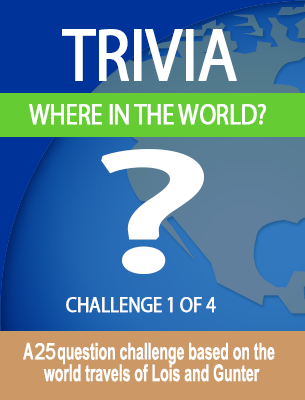 We challenge you to take these quizzes covering unique cultures, history, and geography of 62 countries around the world. 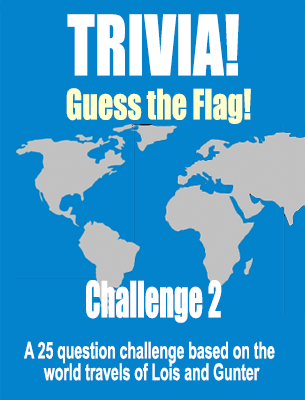 These quizzes are compiled from Lois and Gunter Hofmann’s world circumnavigation and the books that Lois has written about those experiences. Award-winning Maiden Voyage, Sailing The South Pacific and her newest release, The Long Way Back, comprise the vividly illustrated Trilogy, In Search of Adventure and Moments of Bliss. Now available on sale for the Holidays. How much to you actually know about world travel, the people, places, animals, and flags of world countries?